Mangoes and oats marry each other in this super easy cake that makes it moist and fluffy. Oh! The Chia seeds add some more goodness to it. How about baking this cake for your Mom cuz it’s her day tomo? Hug her when she’s crying watching a movie or those stupid soap operas. Listening to her even in her loudest silence, and that pain behind her eyes. 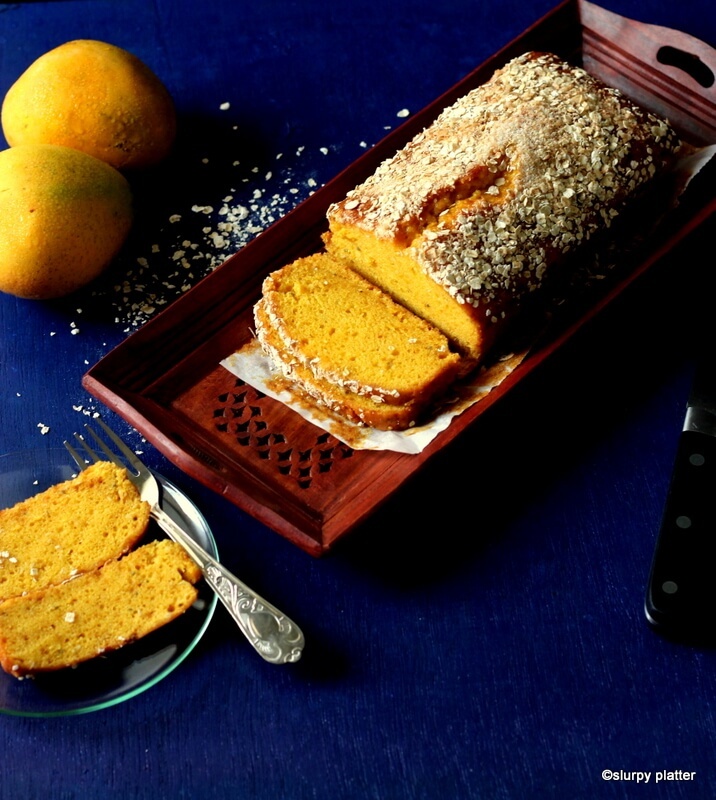 If you have mangoes at home, just don’t think twice, bake this cake and make her smile. 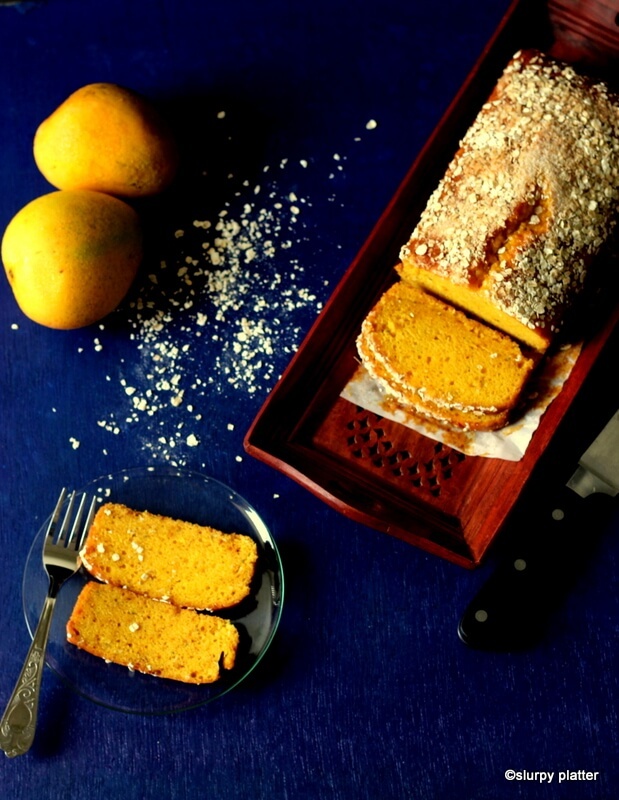 Mangoes, oats and chia seeds, there's everything in this cake to make it a healthy indulgence. 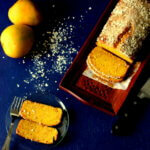 This recipe for a mango cake is perfect when paired with a ice cream or even a cup of hot chai. Pre-heat oven at 180 °C. In a bowl, sieve the all purpose flour and mix the oats, chia seeds with it. Keep it aside. 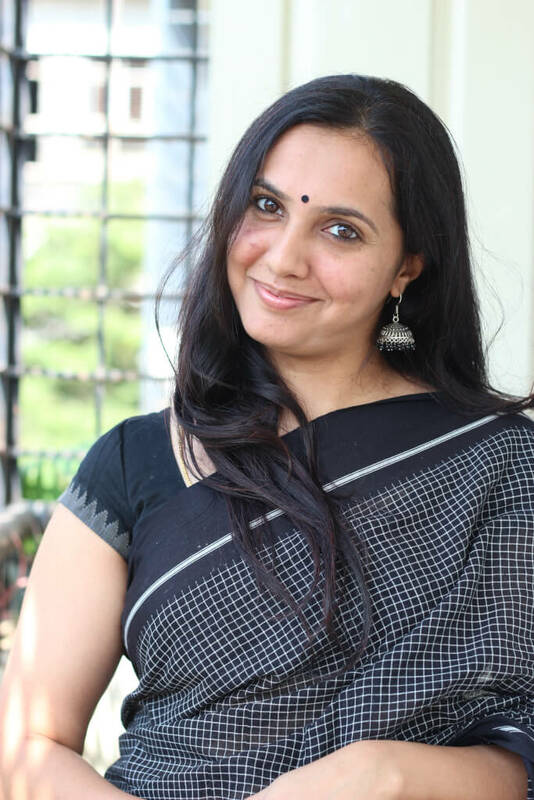 In a another bowl, add curd and sugar, mix till the sugar dissolves using a balloon whisk. Now add the baking soda and baking powder and mix till you start to see the bubbles appearing on the mixture. Now add oil to this mixture and mix it again. Add the above mixture and mango pulp to the dry ingredients. Whisk it till it attains a pancake batter consistency. Grease/ line a loaf/cake pan with parchment paper and pour the batter into it. Sprinkle a tsp of oats on it and bake at 180 °C for 30-35 Minutes until a fork/ toothpick inserted comes out clean. Allow it to cool completely and then slice them. 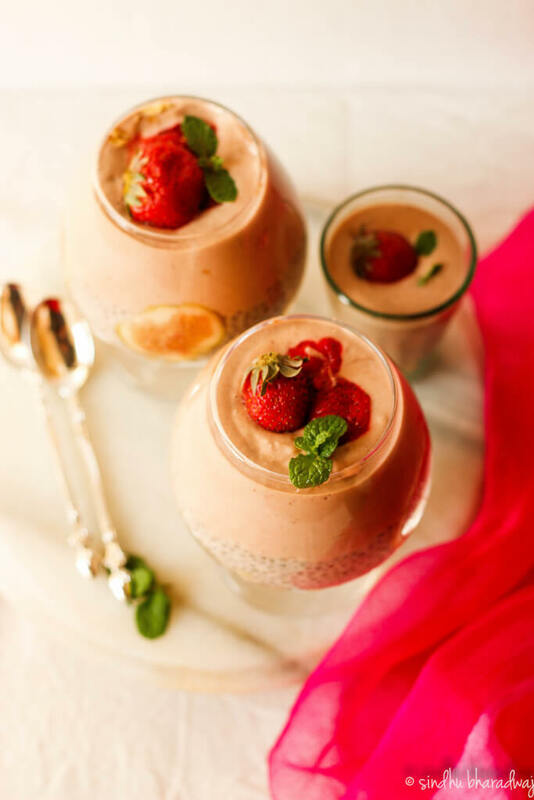 Enjoy it with a bowl of ice-cream or use it to make mango trifle pudding or even gobble it up with a cup of ginger tea. 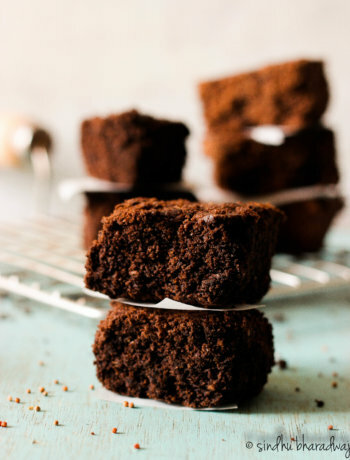 You can also use wheat flour instead of all purpose flour. Just ensure you add an extra pinch of baking soda and baking powder so that it rises well. Wow! 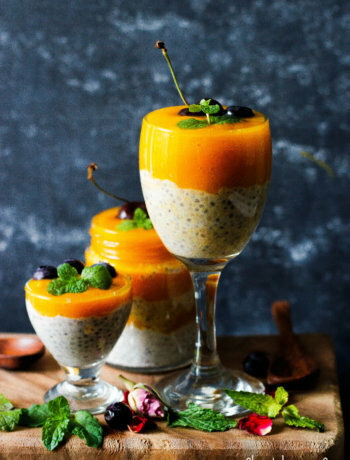 Never thought of mango -chia combination. Can I replace the all purpose flour with gf flour? And what can I add as areplacer for curd- something dairy free?